Facebook: It's no secret—when small businesses succeed, communities thrive. We want to build and empower communities, which is why Facebook and Instagram are committed to helping small businesses grow. As more people turn to their phones to discover new things, small businesses need a strong mobile strategy. 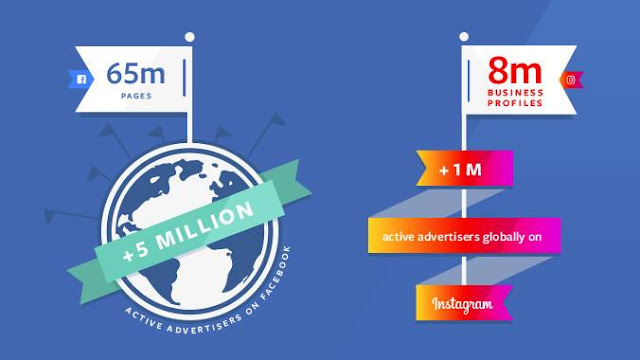 Facebook is the mobile solution for 65 million businesses with Pages and 8 million with Profiles on Instagram. And with more than 5 million active advertisers on Facebook, we need to provide solutions for businesses so customers can learn more about their products, visit websites, download an app, or even send messages. We're proud of our online community of small businesses and want to make connecting with customers as easy as possible.